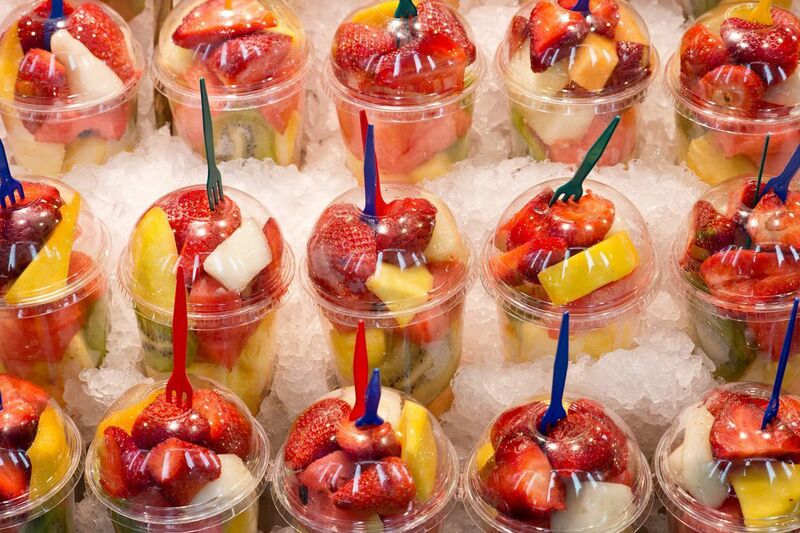 After hepatitis A warning at Philly Acme, should you eat precut fruits and veggies? Precut fruits and vegetables are a great way to get healthy foods into your diet, but there can be a risk. Precut fruits and vegetables are a tremendous convenience and a great way to get healthy foods into your diet. But as shoppers at a South Philadelphia Acme recently found out, the prepared foods can carry a risk, including contracting hepatitis A. On Saturday, the Philadelphia Department of Public Health issued a warning to shoppers who bought precut fruit and vegetables at an Acme at 1400 E. Passyunk Ave. between March 17 and 29, encouraging them to get the hepatitis A vaccine as soon as possible. One of the employees at the store was being treated for the highly contagious viral liver infection. The hepatitis virus can be spread when individuals don’t wash their hands after using the bathroom or by eating contaminated food. There are no medications to treat the illness and the best method of protection is the vaccine, officials said. Acme has waived any insurance co-pays and provided the vaccine for free for customers without insurance, said Dana Ward, a spokesperson for the grocery. The incident is one of a number of recent foodborne illnesses reported throughout the country including those for E. coli, salmonella, and listeria. But before you swear off the precut foods, there are some things to keep in mind and precautions you can take, said Martin Bucknavage, a senior food-safety extension associate with Penn State Extension. “We see these cases and think so many people have gotten sick,” said Bucknavage. But given how many people are eating meals, and how often, we really don’t have a lot of issues, he said. Generally, food operations do have good sanitary policies in place. Food is washed before it is cut up, and measures — such as employees wearing gloves — are used to prevent contamination before food is put in containers to be sold, he said. Fruits and vegetables are so important for overall nutrition, he said, that you don’t want to avoid them over a small risk. “There are ways to avoid the risk,” Bucknavage said. If you are still concerned, purchase whole fruits and vegetables and wash and prepare them at home. Always buy from a reputable food source such as a licensed grocery or food truck. Make sure the fruits and vegetables are cold and stored in a cooler. Check to see if the eatery has good handwashing policies in place and if those preparing the food are wearing gloves. Make sure the establishment has a food-safety-certified person and the required employee training. Sign up for grocery customer cards, which companies use to communicate any food recalls or health warnings. Bucknavage said there is ongoing discussion in the food-safety industry about whether to require the hepatitis vaccine for workers. The Centers for Disease Control and Prevention does not currently recommend all food handlers receive the vaccine, since most outbreaks involve those who use illicit drugs or are homeless. Since 1996, the vaccine has been recommended for children. But many adults remain susceptible, the agency reported. Requiring vaccination for food handlers would be tough, said Bucknavage. Many smaller operations are constantly turning over workers and there would be issues over who pays for the vaccine, and how it would be enforced. “When you make a rule, you have to stick to the rule,” he said.